Often called false sunflowers, heliopsis offer a long bloom time on easy-care, drought-tolerant plants. 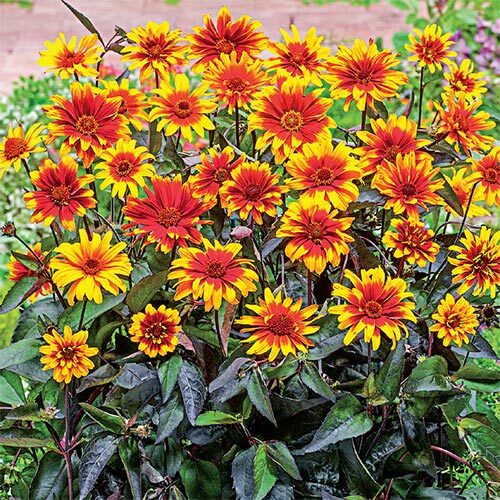 This mix comes from a breeder in Holland and includes single or semi-double, 3½ -4" flowers, in different blends of yellow and red and dark foliage. Daisy like flowers, 3.5-4" in diam. 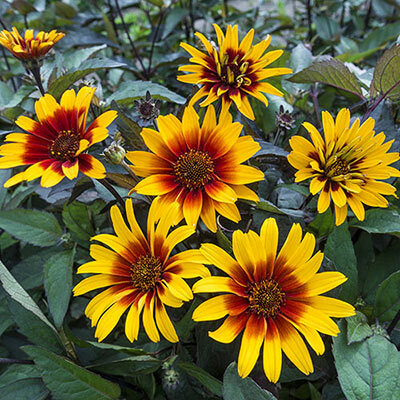 Deadheading will prolong blooming but isn't required.